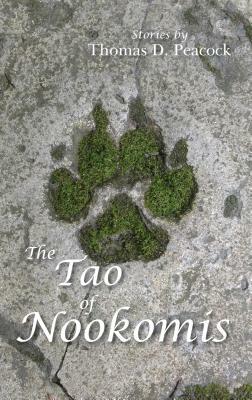 The Tao of Nookomis introduces readers to timeless, layered stories that capture both the simplicity and complexity of Native existence. The stories revolve around its teachings and teachers: ninety-five-year-old Grandma Nooko, Uncle Eddie, Deacon Kingfisher, Ronnie, Donovan Manypenny, Wayne Bishop, Maggie Manypenny, Desiree Ogema, Ogema (the wolf), and Ogema (the wolf hybrid). Join these and others as they learn and practice the ways of their ancestors, carrying traditions into the present day. Thomas D. Peacock is a member of the Fond du Lac Band of Lake ­Superior (Anishinaabe Ojibwe). Several of his books (Ojibwe Waasa ­Inaabida, The Good Path) were Minnesota Book Award winners. The ­Seventh Generationtook home a national Multicultural Children’s Book of the Year award. Other books include A Forever Story, Collected Wisdom,The Four Hills of Life, and To Be Free. An illustrated children’s book, The Forever Sky, will be released in 2017. He lives with his wife, Betsy, in Little Sand Bay, Red Cliff, Wisconsin, and Duluth, Minnesota.